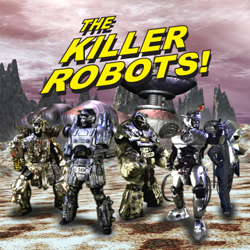 We are currently putting the finishing touches on our new movie, The Killer Robots! Crash and Burn. It’s been a long production with many challenges but we had a lot of fun and learned a lot. We’re all looking forward to sending it out into the world. Big thanks to everyone who participated and lent us moral support! Stay tuned for a premiere date. Here is the newest trailer! Orlando Nerdfest will be held August 7-10 at The Orlando Science Center. Come see us on Sunday August 9th at 5 PM! June 13th, we’ll be at Shoe’s Superstar Summertime Social in the wilds of Apopka. Work continues on the Killer Robots’ next movie, The Killer Robots! Crash and Burn. As of today 45 shots remain to be composited (out of 2000). Be sure to check out the trailer here: Trailer! If you are driving through Apopka this Saturday and you hear what sounds like an UFO invasion, don’t worry, it’s just us. We’ll be testing out some of our new sounds at Shoe’s Superstar Summer Social. 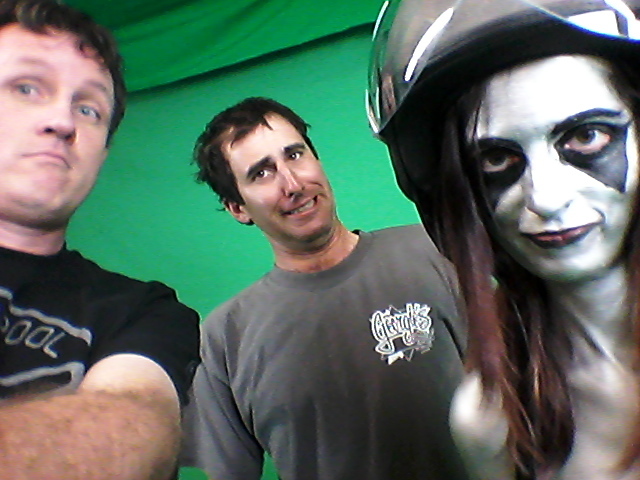 Also, thanks to Scott Yuken and Linda Lindhorst for helping film two more characters this weekend.